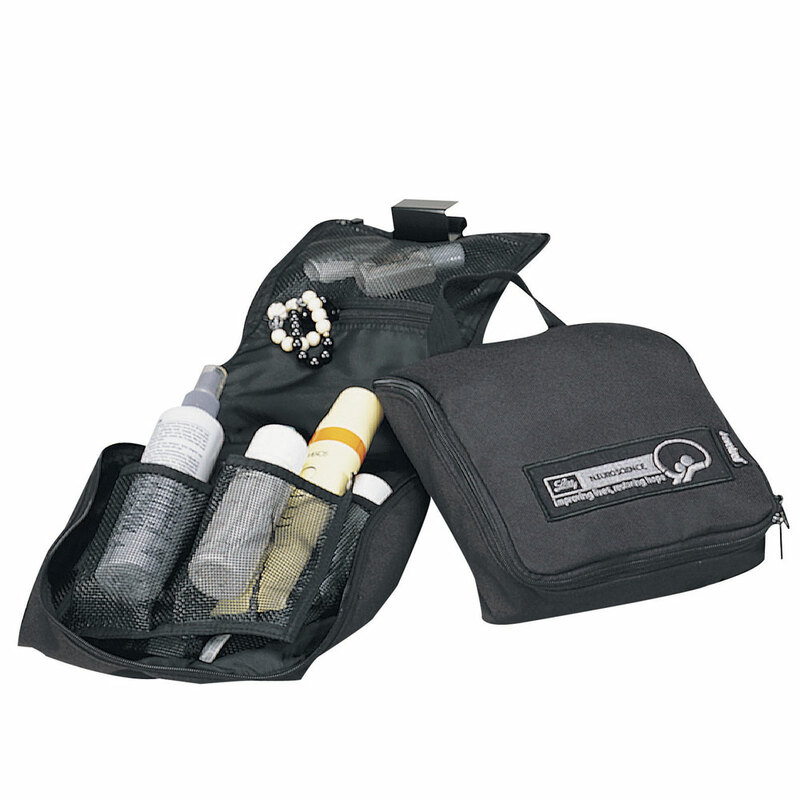 Made of 600D polyester, this unique case holds lots of bottles, cosmetics and grooming aids for travel. Features 5 mesh bottle holders and zip pockets in the roomy main compartment. A clever hook on top allows it to hang on the top of a door. Imprint: On front panel approx. 6"X 4"
Product Size: 8 1/4" x 9 1/2" x 3 1/2"
Pack Note: (Actual Weight) / 20" x 12" x 19"